Avoiding junkyard scams is an important skill when you’re looking for a way to get cash for your worn-out car. The good news is that most auto salvage yards are honest, straightforward businesses. The bad news is that, like every industry, there are a few dishonest companies you have to watch out for. You may think there are simply 2,000 pounds in a ton. You’re not wrong — you just may not be fully aware that there are different measurements of tonnage that will affect how much money you get for your car. Net tons equal 2,000 pounds, but metric tons are 2,240 pounds. Make sure you know which units your salvage yard is using. If they’re trying to be unclear or vague, they could be attempting to cheat you. Is towing included, or will the salvage yard deduct fees from the quote? Ask before you sign any papers or commit to anything. Less-than-reputable salvage yards won’t share this information willingly — you have to inquire. The practice of changing the game after customers come through the door is one that’s still used by some dishonest auto-wrecking yards. They quote you the best price for your junk car over the phone, but once you’re on site, they find lots wrong with your car and significantly reduce their offer. The best practice for you to avoid wasting time is to get an offer in writing before you take the time to drive or have your car towed to a salvage yard. Or be willing to walk away from a lowball offer, even if you’ve done a lot of work to get your old car there. If they are licensed to operate in the state, they have to abide by laws governing their business practices. Their license can be revoked if they try to cheat customers, so always ask if they have a license. If they are a reputable company, they will have a solid online presence with at least their basic information explained. If past customers have had success in working with them, and haven’t run into any junkyard scams, it will be reflected in their online reviews. Looking for a transparent, honest auto wrecker you can depend on? Look no further than Western Auto Wrecking. 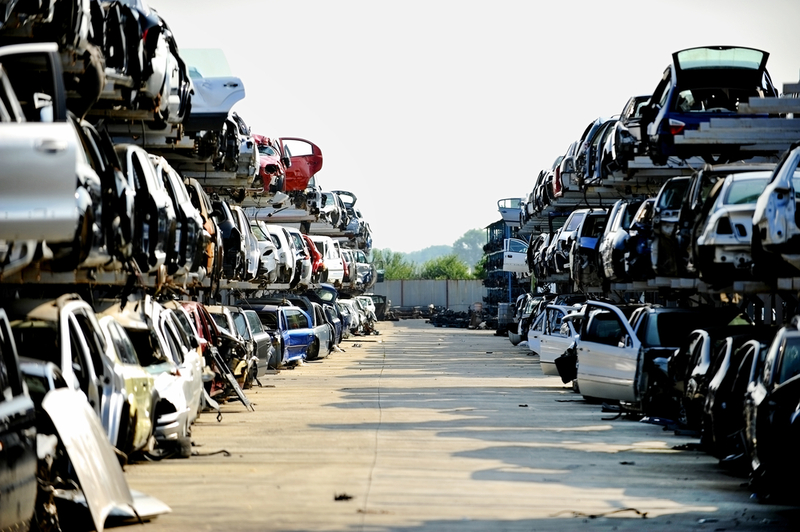 We’re an experienced Utah company dedicated to providing value to car owners (and protecting you from junk yard scams!) Call us today for more information!